Rangelands.org had not had an updated website well, since way back when - you can actually view the original website here! Their dated HTML based website was added on to over the years no cohesive thoughts and a variety of different coding styles including PHP and HTML. There were a myriad of different sub-sites that were not well thought out or maintained so ultimately they wound up with a website that had thousands of pages with no clear hierarchy, focus or even aesthetic that made the site look put together. We worked closely with their website team to streamline the website and reduce the number of pages and then helped to create a clear hierarchy so information could be found easily by their members and supporters. Our first step was to work with the Rangelands team to review the existing website in full to determine what needed to be kept and what was able to be archived. Because they are an international organization it was critical to ensure that some old data was kept for research and studies. We provided a full spreadsheet of all pages on the core website and every sub-site, from there we reviewed their analytical data and then supplied a recommended hierarchy for the new website. The new website features a clean and fresh look with easy navigation and includes their much needed sub-sites that are housed within the Wordpress admin in a unique way. Our custom coded administrative pages using page templates and custom fields make the website easy to manage by even the least technical staff. 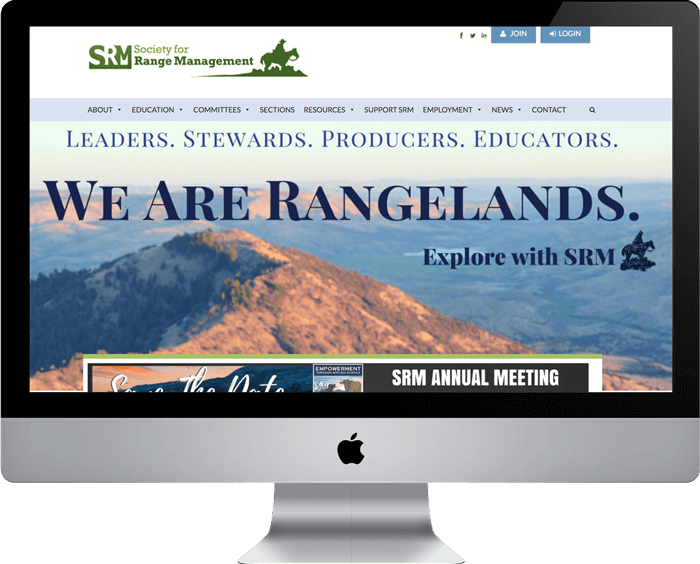 One of the major requirements for this project was the ability for committees of the Rangelands organization to have their own "sub-site" that they could easily manage. 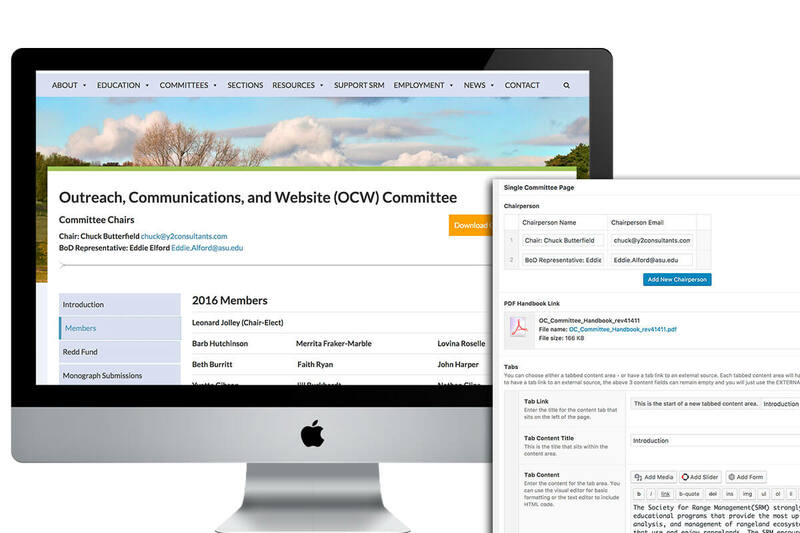 Through a custom template using custom fields we added 1 page for each committee where users with a specific role could go to update the content. You can see in the image below how easy it is to update the page with fields where you just enter the content - then the content displays nicely on the page with no need for code or html. These pages have a tabbed left side and each committee can add as many tabs as they wish - no confusing sidebars or navigation elements for them to deal with. Rangelands posts jobs from all over the world. They needed and easy to manage jobs area with the ability to have the job posting removed based on a specific timeframe. With Gravity Forms we created a form where users can submit a job listing. Free job listings go directly to the job listing page with all the required details visible. Paid listings go to draft mode for the team to review and they can just hit publish to have it go live on the website. Featured job listings have a different look than the free listings and both will be automatically removed from the website either based on user submitted date or 60 days - whichever comes first. Website is awesome- lots of raving reviews- and I absolutely luv it so thank you!